Fox will go to Mipcom in Cannes next week with a spring in its step thanks to Lethal Weapon, its TV reboot of the classic movie franchise. 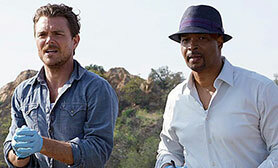 Now three episodes into its first season, Lethal Weapon is one of the US fall season’s top-performing shows. It’s currently pulling in 7.3 million same-day viewers, a figure that rises to 11.5 million after a week’s catch-up viewing is added in. The network has responded to the show’s strong start by giving it an additional five episodes, taking the total for season one to 18. This is less than the traditional 22-episode US network model, but Fox is still describing it as a full-season order – something that may reflect a wider trend towards shorter-run scripted series. 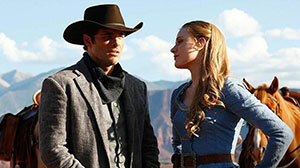 Another movie reboot that has got off to a strong start is HBO’s Westworld. Blessed with a talented cast, a strong creative team and cult name recognition, the first episode attracted 3.3 million for the first showing via cable and streaming. The second episode dipped to 2.7 million, but some of this decline has been put down to competition from the second US presidential debate. Strong ratings in the US were mirrored in the UK, where Sky Atlantic reported a record-breaking performance for the show’s first episode. HBO will be encouraged by the fact the show has attracted a strong 9.2 rating on IMDb. However, it is early days for a series that is thought to have cost US$100m to produce. HBO would like Westworld to build the same kind of momentum as Game of Thrones, but it is built on a much sparser mythological foundation. For this reason, it is difficult to prejudge how much traction the show will gain with the audience. The true potential of the franchise should become clearer around episode six or seven. Another US series that merits a mention is FX’s long-running American Horror Story anthology franchise, which this year is sub-titled My Roanoke Nightmare. Four episodes in, the show is averaging 3.58 million viewers. The figures are on a slight downward curve but they are similar to last year’s series Hotel, suggesting the show has a pretty robust core audience. This year’s series takes the Roanoke Colony in North Carolina as its storytelling starting point. During the 1590s, the colonists vanished. Moving to the present, a couple’s new home near the settlement is full of paranormal activity. The cast includes Kathy Bates, Sarah Paulson and Cuba Gooding Jr, with a special guest appearance from Lady Gaga (who also appeared in Hotel). Away from the US, Zodiak Rights is reporting strong sales for Public Enemy, the Belgian drama that won the inaugural MipDrama Screenings Buyers’ Coup de Coeur Award in April. Produced by Belgium’s Entre Chien et Loup and Playtime Films for RTBF Belgium, the 10-part drama centres on the story of Guy Béranger, a dangerous child murderer at the end of his prison sentence. His release on parole to the custody of the monks at Vielsart Abbey leads to an outcry from the nearby small village and to the rest of the country. Then when a young girl disappears on the outskirts of the Abbey, the entire village is in uproar. The French-language show was a ratings hit for RTBF Belgium, securing an audience share of more than 25%. Now Zodiak has sold it to Sky Atlantic in the UK and Germany; free-to-air broadcaster TF1 in France; Movistar Series Xtra and Movistar VOD in Spain; and Ale Kino Channel (Canal+ Group) in Poland. It will also air on Scandinavian broadcaster C More’s linear and premium SVoD services in Sweden, Norway, Finland and Denmark. Caroline Torrance, head of scripted at Zodiak Rights, added: “The demand for innovative, globally relevant drama that works across platforms continues to be very strong and we expect these deals to be the first of many for this compelling series.” The sales also underline the promotional value of the new MipDrama award. 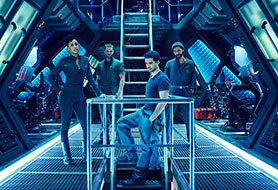 Still on the subject of distribution, SVoD platform Netflix has acquired global rights to Syfy space drama The Expanse. Season one will be available to Netflix members outside North America and New Zealand from November 3, with a second run due in 2017. The Expanse is set 200 years in the future, after humanity has colonised the solar system. It follows a tough detective and a rogue ship’s captain who stumble across a huge conspiracy while looking for a missing woman. The first series aired on Syfy in 2015 and didn’t rate especially well, starting at 1.19 million and dropping to 0.55 million. The show is a good indication, however, of the new economic model that exists in the Netflix era, where modest ratings on a US host channel don’t necessarily result in automatic cancellation because of the opportunity to secure a secondary revenue stream from an SVoD partner. More generally, Netflix CEO Reed Hastings warned this week that the chance of the SVoD service entering China “doesn’t look good.” The company has been plotting an entry into China for a couple of years but seems to be suffering the same barriers to entry as other US brands. “Disney, which is very good in China, had their movie service shut down. Apple, which is very good in China, had their movie service closed down. It doesn’t look good,” he said at the New Yorker TechFest conference last week. MipTV scorecard: Which dramas stood out? There were 11,000 delegates at MipTV this week, 3,900 of whom were content buyers. And top of their shopping list was drama, with a wide array of titles being picked up by free-to-air, pay TV and SVoD channels and platforms. MipTV doesn’t see much activity from the major US studios, which prefer to focus on the LA Screenings next month. So this meant the attention was more on European and Asian drama, with a few US cable titles also attracting attention. 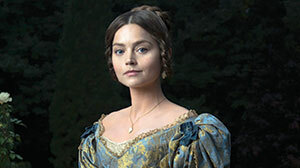 A big winner at the market, for example, was ITV Studios Global Entertainment, which sold its period drama Victoria into the Nordic region, the Netherlands and Canada. There was also interest in BBC Worldwide’s Anglo-French fashion drama The Collection, which sold to SVT Sweden and DR Denmark. 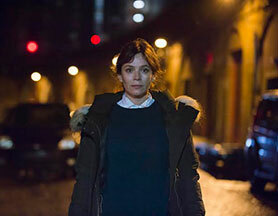 As the above titles indicate, British dramas tend to secure an initial wave of sales in Scandinavia and other English-speaking markets before picking up deals in other territories. This point was underlined by deals done on Capital. Distributed by FremantleMedia International, the adaptation of John Lanchester’s novel has been sold into the US, Canada, Australia and New Zealand. If there was a clear trend in terms of sales, it was the continued importance of SVoD platforms, which seem to be doing almost as many drama deals as traditional networks. Hulu picked up eOne’s The Book of Negroes, while All3Media International sold Irish drama Red Rock to Amazon Prime Video in the US. 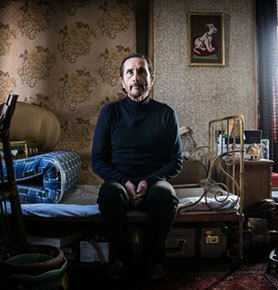 Channel 4’s international drama strand Walter Presents, meanwhile, acquired two series from Keshet International – Baker & The Beauty and Milk & Honey – plus Spanish drama Locked Up. Other dramas that secured good deals at the market include the Content Television-distributed Line of Duty, which sold to DirecTV Latin America, BBC Worldwide Benelux and Hulu in the US, which picked up VoD rights. There was also an interesting deal that saw Zodiak Rights’ Versailles picked up by US pay TV channel Ovation. Ovation isn’t really known as a drama buyer, so it’s another good indication of the demand for event dramas. One company that has got more interesting to the international market in recent years is Italian public broadcaster Rai, which until recently was only really interested in commissioning mainstream scripted shows for primetime slots on flagship channel Rai 1. 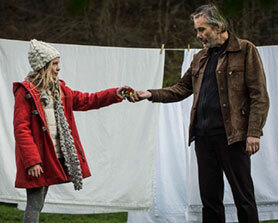 But there has a been a definite shift as a result of the wider changes taking place in the international drama market. On the one hand, the company is now producing edgier, younger-targeted drama for Rai 3, with the result that it is attracting more attention from international buyers. An example at the market was Close Murders, which was on the verge of being picked up by Franco-German network Arte at Mip. On the other, Rai has started getting interested in supporting English-language event dramas. At the market, for example, it was one of the backers of Wild Bunch TV’s epic new period drama Medici: Masters of Florence, which has now been greenlit for a second season. One new development at the market was the launch of the Mip Drama Screenings, a showcase for 12 new drama titles that was held on April 3 in the JW Marriott Hotel. The event, heavily skewed towards European content (but with a Chilean and an Israeli-originated show involved) was well received by buyers and put the spotlight on some interesting series. At the end of the screenings, one show is given an award called the Coup De Coeur for being the best of the bunch according to the buyers. This year it was Belgium’s Public Enemy, which is distributed by Zodiak Rights. Last week, we name-checked a few scripted format deals. By the end of MipTV a couple more had bubbled to the surface. Onza Entertainment sold the format for Spanish drama The Department of Time to China’s Guan Yue International, while Russia’s NTV commissioned a local version of Nordic Noir hit The Bridge. In a related development, Lionsgate licensed its new show Feed the Beast (starring David Schwimmer and Jim Sturgess) to AMC’s UK pay TV channel. This show, about two friends who launch a restaurant, is based on a Danish scripted format. This market was very much billed as being about Germany – this year’s Country of Honour. But it was noticeable that France was actually among the most high profile in terms of deal-making. StudioCanal, for example, used the market to announce that it was acquiring stakes in a number of international production companies, including Spanish powerhouse Bambu, producer of hit shows like Velvet, Gran Hotel and the first Spanish-language series ordered by Netflix. The firm’s sister company Canal+, meanwhile, launched Studio+, which is billed as the first global premium series offer for mobile devices. The new company will produce exclusive premium drama series for smartphones, tablets and a dedicated app. 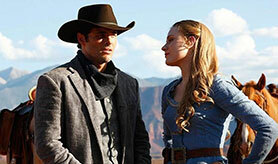 Each series will consist of 10 10-minute episodes, with an average budget of €1m (US$1.14m). Studio+ president Manuel Alduy said the service will launch in September in France with 25 complete original series, before opening in Europe, Russia and Latin America in partnership with major local telecoms. Early series include drama Amnesia starring Caroline Proust, action series Brutal and Urban Jungle and thrillers Kill Skills and Madame Hollywood. Sixty more shows are currently in development. Explaining the thinking behind the series, Dominique Delport, president of Vivendi Content (Canal+’s parent company), said 60% of smartphone users watch shortform video. He said the directing talent for the new series comes from advertising and music, sectors that have experience of reaching Studio+’s target audience of 15- to 35-year-olds.